Iceland launches the world's first station capable of detecting the CO2 gas and turn it into stone. It is reported by Espreso with reference to the Engineer. Installation CarbFix2 co-created the Swiss startup Climeworks and the Icelandic power company Reykjavik Energy. CarbFix2 is 25 km from the capital of Iceland Reykjavik near one of the largest geothermal power plants in the world. Although geothermal energy is a clean source of energy, if you heat a mixture of carbon dioxide, hydrogen sulfide and hydrogen. This is not a critical amount of CO2 is only 3% of the volume of specific emissions of any coal-fired power plant. In the first stage, the installation captures CO2 from ambient air using a filtering technology, Climeworks. A filter made of porous pellets, CO2 binds with the moisture from the air and holds particles of matter. Then the heat from the geothermal installation is used to release pure CO2, which is sent to 700 m under the ground. There it reacts with the basalt and forms the basis for solid minerals – turns into stone. "We have developed CarbFix in Iceland, and proved that may forever transform a greenhouse gas into stone," said the head of the CarbFix project at Reykjavik Energy Edda SIF Aradottir. Swiss startup Climeworks, which grew out of departments of the University of Zurich, has set a goal to filter out 1% of global CO2 emissions until 2025. Earlier this year he opened the world's first commercial plant, which catches the carbon dioxide from the air, in the Swiss Lausanne. 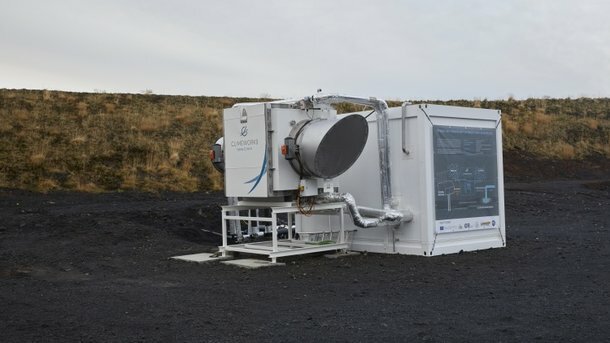 Although this object has the ability to catch 900 tonnes of CO2 per year, and Carbfix to capture only 50 tons per year, Climeworks believe that the opportunities for Icelandic technology to grow. Co-founder of Apple Steve Wozniak created his own online University, Woz U. It is reported by Fortune. The platform offers courses in computer science and technology. 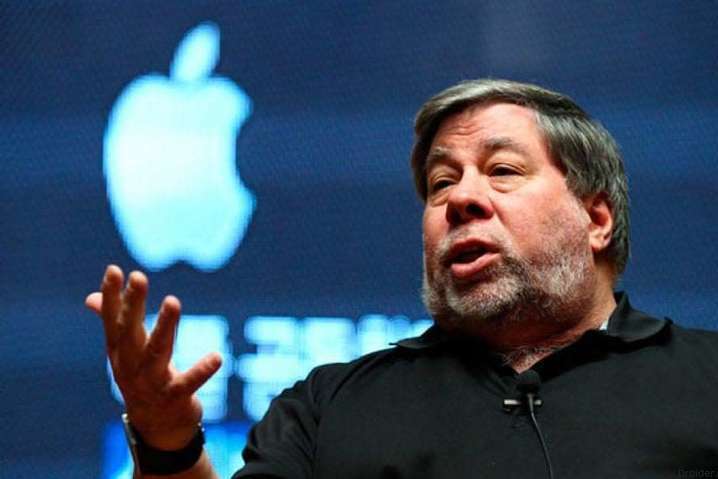 As the newspaper notes, Wozniak plans to open 30 University campuses in more than 30 cities in the U.S. and in other countries. "Our goal is to educate and teach people the skills to work at home, not driving them into debt," said Wozniak. The cost of education in the new University is not disclosed. The representative of the company noted that the price of the courses will depend on the individual needs and characteristics of the student. Besides offering online courses to potential students, Woz U will also work with technology companies to help them recruit and train, or even retraining of the workforce. The Institute also plans to provide training programme on computer for different school districts. Now available online-courses related to software development, but the Institute plans to 2018 to open courses in computer science, mobile applications and cybersecurity. By the way, the founder of Apple Steve Wozniak was awarded in Kiev the "white" hackers. Recall that Steve Wozniak is the Creator of the first personal computer, co-founder of Apple and the first business partner of Steve jobs – September 30, arrived in Kiev. Steve Wozniak in Kiev gave three tips to the Ukrainians. At the conference, VidCon, the head of YouTube Susan announced a number of innovations, writes portal http://619.com.ua which has touched or will touch is popular all over the world. First, the player in the mobile YouTube app learned to adapt to the specific size of the video. This will allow YouTube users to place a horizontal (Facebook), vertical (Snapchat) and square (Instagram) video without loss of quality for the audience. Secondly, at the moment, YouTube is working with LG, Lenovo and other companies on creating a camera for shooting video in the format 180 degrees. This is done so that in the foreseeable future to allow users to spread the content on the page itself. Third, now YouTube allows you to share videos with personal messages. While this feature is available only for residents of Canada, but very soon it will be able to benefit residents of other countries.